Dimitrie J. Leivici studied at the Vienna Conservatory and the University of Vienna, where he graduated with his Diploma in 1976. Enthusiastic Reviews in Austria, where at the age of 17 he already performed concerti by Paganini and Wieniawsky, were proof of his musicality and capabilities as a musician. After his graduation, he moved to the USA and continued his solo career beginning in Los Angeles. Subsequent concert tours with violin concerti by Beethoven, Sibelius and Tschaikovsky led him throughout Europe, including solo performances with leading orchestras such as the London Symphony Orchestra, London Philharmonic and the Rumanian Philharmonic as well as numerous appearances throughout the continent of North America (San Diego, San Francisco, Seattle, Vancouver, Washington, D.C.). 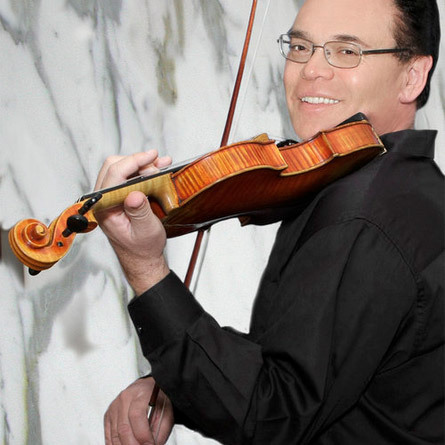 Dimitrie J. Leivici held the position for violin instructor and chamber music at the California State University as well as being chairman for strings and Chamber Music for the »California Association of Professional Music Teachers«. He is one of the most sought after Hollywood studio violinists, having participated on over 1.000 movie scores and sound tracks including projects such as Avatar, Titanic, Pirates of the Caribbean, Toy Story, Indiana Jones, etc. He has organized Master Classes for world famous artists such as Paul Badura Skoda and Ruggiero Ricci. Dimitrie J. Leivici was also featured as master clinician in workshops and violin master classes including at the University of Vienna in 2008. Being a teacher and mentor for young talents, Hollywood Music Workshop is one of his big projects that connects him closely to his homeland of Austria. Lilo Bellotto ´s passion revolves around music and the arts. She completed her studies in Classical Ballet, Classical Piano and has had extensive vocal training. During her stage career, she was featured in leading roles at the»Theater an der Wien« and »Theater des Westens« Berlin, in productions of »Fiddler on the Roof«, »No No Nanette«, »Cats«, etc. She appeared during the festival »Wiener Festwochen« as the female lead in the well known play by Neil Simon »They are playing our Song« along side the actor Klaus Wildbolz, additional engagements include performances at the Theater in der Josefstadt. Having been involved with music and the arts throughout her life and due to the fact that her father was the renowned artist agent Rudolf Raab, she is very familiar with this genre in general. 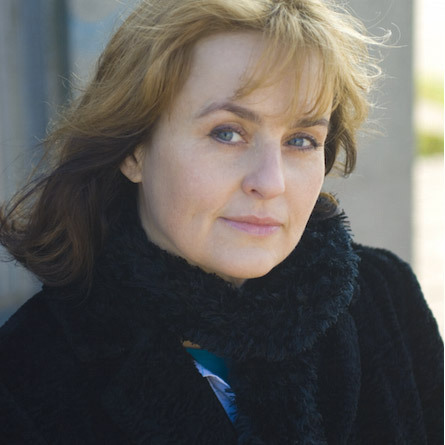 Lilo Bellotto currently hosts a radio show broadcast on the classical radio station Radio Stephansdom and has been producing and presenting her own radio broadcast on film music since January 2012. Lilo Bellotto and Dimitrie J. Leivici are the organizers of Hollywood Music Workshop in Baden, Austria, having successfully established the workshop as a permanent fixture on the European Continent since 2009. Colja’s passion has always been film music. He initially focused on the technical music production process and learned recording and mixing music at Audioworkshop attending a variety of weekend classes. He then deepened his knowledge by watching tutorials, reading books and articles. He also acquired some professional video production skills. 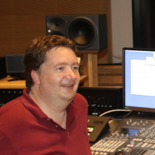 When Colja joined the Hollywood Music Workshop as a student a few years ago he used his technical knowledge to help other students to prepare for the professional orchestral recording session. Later he also assisted in the composition class. He then joined the Hollywood Music Workshop Team as a full staff member in the role of the Technical Director. Colja works as an IT business architect on enterprise level within the IT strategy department of one of the world’s biggest global corporations. He spends half of his time in the US in Houston where the global headquarter is located. He is currently also continuing his studies in classical music composition and orchestration through self study and with some occasional support from various teachers.